T-shirts with skulls on… who doesn’t want one of them hey? Well thats what the guys over at No Fit State Clothing must have thought when they asked me if I fancied working with them on a t-shirt collaboration with them. And heres the result! Not 1, but 2 t-shirts and a snazzy vest for all your summery needs. I love working on collaboration projects. It’s great to get to know people, share ideas and see what makes them tick. 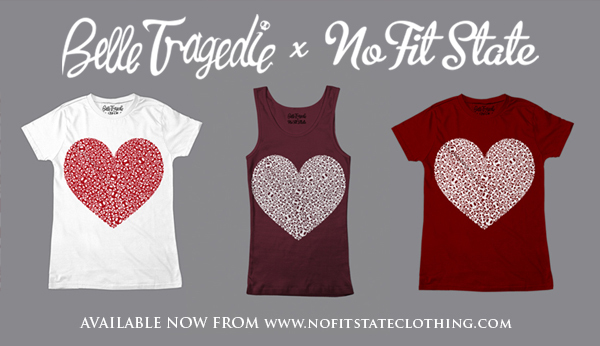 No Fit State Clothing is a fantastic brand offering a whole range of clothing with some amazing original designs. None of this jumping on the band-wagon lark, they are out there making a name for themselves and keeping it unique! 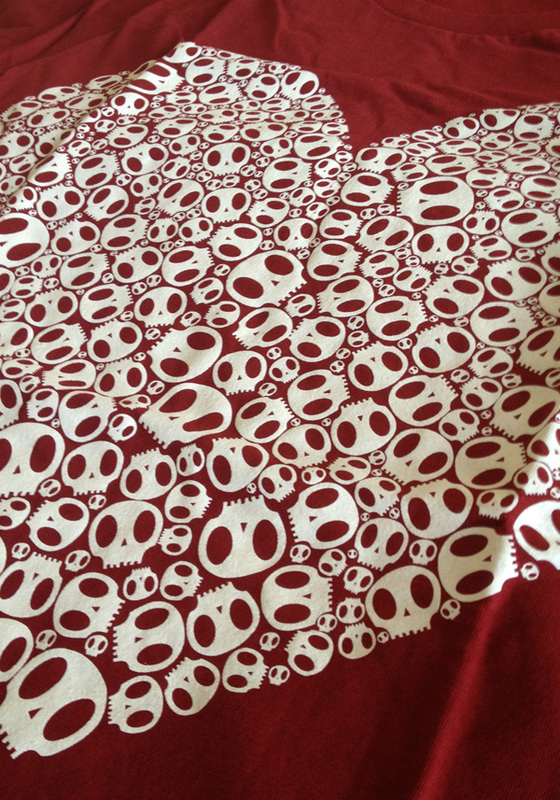 The “Skulls” design is based on my ‘Heart of Skulls’ illustration, and it has transferred perfectly onto clothing. They are available exclusively over at www.nofitstateclothing.com and are a limited edition so go and grab yours now! !